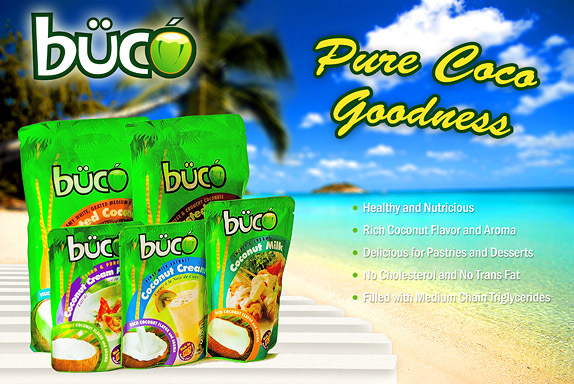 I was recently invited by Fresh Fruits Inc., a Philippine coconut ingredients producer, to produce an ad pitch for their new product 'Buco', a line of coconut food additives. The client found out that I was a photographer and just gave me a set of their products for me to photograph and use on the poster and website design. This is an advantage for me since I can just provide the whole package, including design and photography. They wouldn't have to talk to anyone else. I just hope I make a good impression on my design. Here is my design. Product photo by me. Update: I wasn't able to get this project. 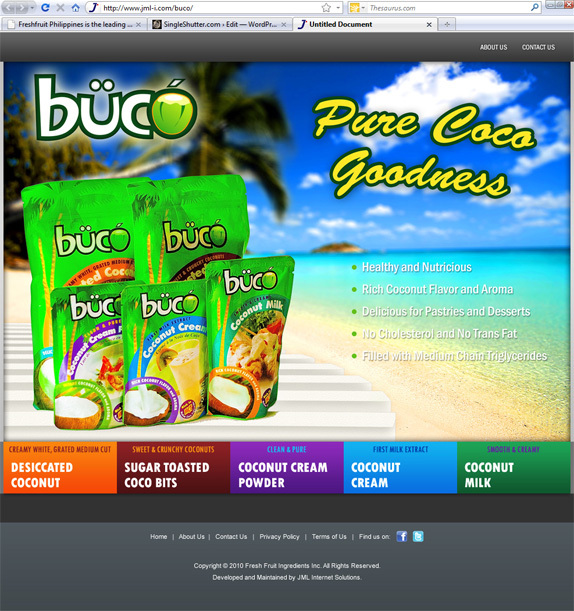 I think the client wants an ad with a human model. I saw the other designs, they had human models. It was still a good experience though. Better luck next time I guess.